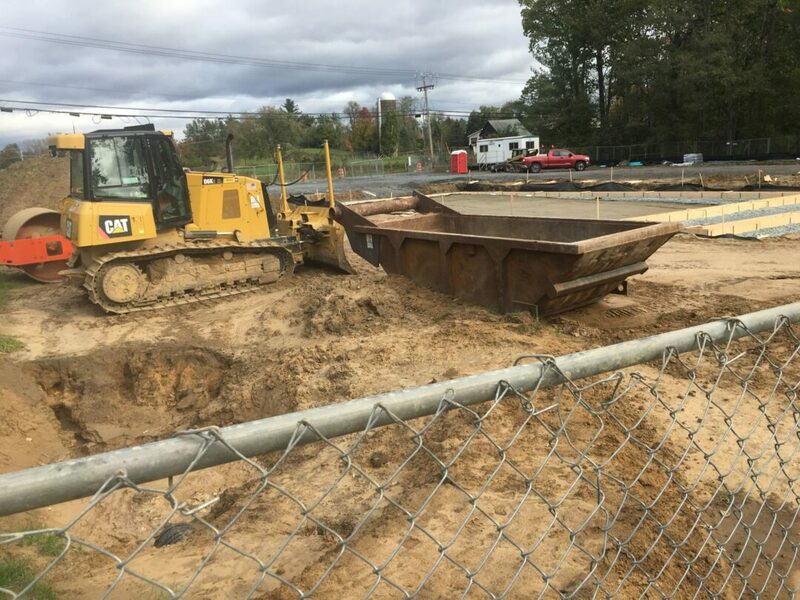 GLENMONT — Construction on Elsmere Fire District’s new 4,608 square-foot South Substation, located at the corner of Feura Bush and Wemple roads, is expected to be complete and officially open late next spring according to Jack Brennan, the chairman of the district’s Board of Fire Commissioners. Contractors began clearing out the site, originally a vacant lot, for the $1.4 million project about four weeks ago. Brennan said that the substation’s general architect is C.T. Male Associates, a Latham-based company specializing in services such as land surveying, architectural engineering, and energy and environmental services. The process to gain both Zoning and Planning Board approvals for the substation project was lengthy, beginning on Dec. 6, 2017. The district’s application to build the new substation was reviewed by The Zoning Board of Appeals, before voters in the fire district approved it on Dec. 12, passing with 272 supportive votes and 180 opposing ones. The town’s planning board began overseeing the project on Feb. 20, and the matter continued to appear on its agenda through the middle of the summer. Several concerns about the project were raised during Planning Board meetings. One resident disliked proposed exterior color for the substation, the Planning Board staffers wondered if the facility will be used to host community events and how it lacks a sidewalk directly outside it. Also, a revised stormwater management plan did not address pretreatment requirements that would affect the substation’s proposed stormwater management areas. The town’s designated engineering Firm, MJ Engineering, did not initially respond to requests for comment about this issue. The project was finally approved during the July 3 Planning Board meeting. Brennan said that he hoped the substation would be erected by December and that once the winter weather clears, outside work can continue before its slated spring opening.